February 5, 2012 – The financing will enable nanoMR to develop commercial instruments for the clinical microbiology market, perform clinical studies and prepare for product launch. January 12, 2012 – New Mexico Biotechnology and Biomedical Association has partnered with the Southwest Biofuels Association to address mutual interests, and to focus on the growing field of biofuels. January 10, 2012 – NMBio is pleased to introduce our newly elected 2012 Board of Directors. 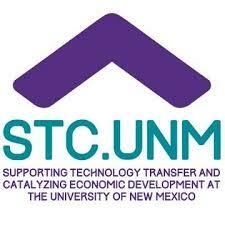 Please see the NMBio Board of Directors page for more information about the Board. January 9, 2012 – On June 7th of this year Manhattan Scientifics (OTCBB: MHTX) announced the acquisition of Senior Scientific LLC (SST) and its affiliate Scientific Nanomedicine Inc. SST focused on innovative nanotechnology to detect breast, prostate, pancreatic, brain, and other cancers years earlier than current diagnostic techniques. October 28, 2011 – The recently passed patent reform act, “Leahy-Smith America Invents Act” changes the nature of the patent process from “first to invent” to “first to file”. NMBio presented their views to our congressional delegation in June of this year. February 15, 2011 – Members of the New Mexico Biotechnology and Biomedical Association can now received significant discounts on FedEx shipping services as a benefit of NMBio membership.